Providence, the capital of Rhode Island has a population of 181,557 people and is the oldest state in America. One of the first cities to industrialize, Providence was noted for its textile manufacturing, silverware, jewelry and machine tool industries. Nicknamed the Beehive of Industry at one point in history, the city became known as the Creative Capital in 2009. The city is also known for its love of coffee and has more coffee and doughnut shops than any city in the United States. Fun Fact: H.P. Lovecraft, the father of supernatural horror fiction was born in Providence and lived there most his life. Some tourist spots include Roger William Park which has up 435 acres lakes, gardens and greenhouses. Between May and November, WaterFire gains a lot of attraction. The event takes place in downtown with 80 bonfires sitting on braziers that sit in the middle of the water. Pomham Rocks Light, also known as Pomham Lighthouse is located on Providence River. It dates back to 1871 and still works. With Providence being the oldest city in America, there is so much history to see that stems from the Revolutionary and Civil wars. Today, Providence is fighting a very different type of war, the war on drugs. Much like every big city across America, the residents of Providence are struggling with an opioid addiction. Each year, the number of drug overdoses from opioids increases. Next door neighbor Massachusetts is dealing with its own drug crisis with 1,574 fatal opioid overdoses in 2015. Out of all 50 states, Rhode Island is ranked as the fifth worst drug problem state. Opioids come in the form of heroin and prescription pain pills, heroin being the more popular form since it is cheaper. Many people turn to drugs based on lack of education, poor housing, crime or lack of jobs. Providence has a 4.6 percent unemployment rate and a median income of 61,481 which is better than other big U.S. cities. The crime rate is 10 out of 100, which matches many other cities as well. Any city that is struggling with a drug epidemic will naturally struggle with a crime problem as well. In Providence, 80 percent of all drug crime investigated by police in 2014 involved heroin. Another major cause of drug use stems from mental health disorders like depression, bipolar disorder and anxiety which appear to be a strong factor in Providence. Adults are not the only ones affected by the drug epidemic, teens are being affected as well. According to a study taken in 2011, 40 percent of high school students have used marijuana in Rhode Island. Six in ten substance abusers have at least one mental health disorder. This leads to a dual diagnosis and treatment at rehabilitation centers. For some people, mental health disorders can cause a relapse. Providence and surrounding areas Cranston, Warwick, Pawtucket, South Kingstown and Woonsocket have the highest rates of drug abuse and overdose in Rhode Island. Providence ranks highest for drug overdose with more than 50 in 2015. Prescription painkiller fentanyl, a power opioid accounted for most of those overdoses. In 2016, 236 drug overdose deaths occurred between January and November and 124 of those deaths were due to fentanyl. While the drug problem does exist and it’s not likely to change anytime soon, recovery is not hard to find in the state. 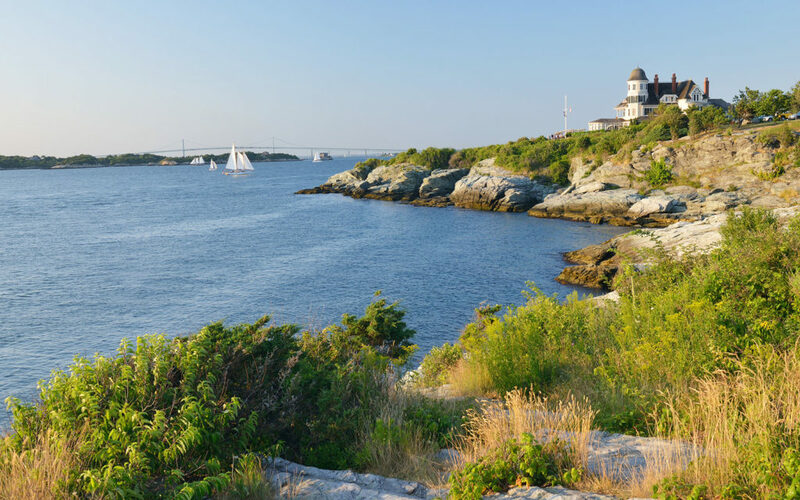 In fact, Rhode Island has some of the best drug rehabilitation centers in America. All people have to do is reach out and ask for the help that they need. Problem is, is that most people have too much anxiety over rehabilitation and find it easier to abuse drugs instead. No doubt, drug rehabilitation can sound scary. Even more so when a person doesn’t know very much about it. A solution to that problem starts with awareness. Education is important for many fears in life because the more a person knows, the less that they have to fear. Assessment/Pre-Intake/Intake– For this step in the drug process an assessment, sometimes called a pre-intake or intake is taken. This is the first step and an important step. An assessment is completed to find out more information and to find out what sort of treatment would best benefit a potential patient. There are many questions asked and some of them are detailed so the facility can provide the best possible treatment. A physical exam and lab test (for drugs) will be completed as well as an item checklist. Drug rehabilitation centers are standard across the board as far what is or isn’t allowed in the facility. Before admittance to the facility, financial arrangements will also be made. Detox– The drug test will be the deciding factor on what happens next. Some patients do not have drugs in their system which means that they are free to go straight in inpatient or outpatient treatment. Alternatively, if drugs are present then detox is the next step in the process. Detox is a way for the facility to cleanse the body of drugs. This process can take a few days or up to a week. The body goes through a tough experience while detoxing and some withdrawal symptoms can occur. The intensity of withdrawal symptoms changes from patient to patient so what might be a tough experience for one person might be a walk in the park for another. Withdrawal symptoms depend on the type of drugs that were used. Opioids are tough to withdrawal from. The symptoms also depend on how long a person has been using the drugs as well as if a person has any mental health disorders. If withdrawal symptoms become too intense and cause a patient pain, a doctor can prescribe a medication like Methadone to help ease the symptoms. Drug cravings seems to be the most prominent symptoms and Methadone can alleviate cravings for 24-36 hours, making detox a bit easier to endure. (a few months). This program uses Cognitive Behavior Therapy to helps patients with distorted thinking. RTC also helps patients to see what caused their addiction and what they can do to get their lives back on track. Patients are give a schedule of events to attend but are also in charge of their own recovery. This means that patients need to show up on their own for their scheduled events. RTC is full of many different types of events like yoga, meditation, drawing, painting and in some facilities, kick-boxing. Chances are that most people have heard about yoga and meditation. Usually, they go hand-in-hand so if a person has heard one, they have heard the other. Either way, meditation is the ability to calm one’s mind and breathing in order to find some inner peace. Yoga is the art of stretching and breathing to achieve the same effect. Mindfulness is also being taught in rehabilitation centers to show patients that they really do have mind over matter when it comes to addiction. After a patient has been released from RTC, they are typically admitted to Partial Hospitalization Program (PHP) which take places at the facility for 6 hours a day, 5-7 days a week. PHP is focused more on how to use coping skills to deal with trigger points while also implementing more focus on group therapy. Individual therapy is also very important during PHP. Medication management is also talked about during this time as some patients leave RTC with a prescription from a psychiatrist. PHP also focuses on family sessions so that loved ones can understand the impact of addiction and any other possible mental health disorder and what they can do to help. Intensive Outpatient Program (IOP) is the typically the last program a patient enters into. This can take place at the facility but is usually scheduled to take place somewhere else. IOP is a program that helps patients to use everything that they have be taught in RTC and PHP within a group setting. IOP focuses highly on group therapy but does have some individual session as well. Patients will learn how to manage their cravings, learn the 12-step program, learn the steps that are needed to prevent a relapse and about spirituality. IOP also prepares a patient for support groups which will be the next step in the rehabilitation process. Aftercare–This process is one that keeps going long after rehabilitation has ended. Recovering from drug addiction is lifetime goal which means that it will also be a struggle to avoid relapse. Support groups are big part of staying clean and sober. Finding a hobby and getting healthy are great ways to avoid relapse too. Support groups are great for offering encouragement and support while also helping recovering addicts to work their 12-step program. Following the 12-step program has been very helpful for many recovering addicts. Support groups not only recite these steps, they live by them to encourage others to do the same. Staying busy should be a priority for anyone who recovering from drug addiction. An idle mind and idle hands are easy targets for addiction to tempt and we are all aware at how good temptation looks sometimes. There are many different hobbies to choose from and some people choose more than one to keep them busy. These hobbies include: bowling, riding horses, playing sports, drawing, painting, writing, singing, dancing, cooking, etc. Whatever hobby calls to a person is the one that should be enjoyed. Anything that causes emotions to be triggered or a desire to do drugs is not a hobby that one should continue to do, that is what therapists refer to as a stressor. Stressors can cause a relapse. Leading a healthy lifestyle and developing a daily workout routine are also good for maintaining one’s sobriety. Wheatgrass should only be ingested if that is what one enjoys. There are many others ways to stay healthy. Getting plenty of fruits and vegetables, lots of healthy protein and drinking a lot of water goes a long way when trying to get healthy. Kickboxing, yoga, Pilates, walking, running, etc., are all great ways to get fit. These two things are also great for people suffering from depression and/or anxiety because eating healthy helps provides nutrients while working out helps to boost feel-good serotonin levels. Again, meditation and yoga can add a huge positive impact on one’s recovery efforts. Sometimes living outside of rehab seems very scary and that is why half way houses and sober living houses exist. These houses provide a place to stay for a low-cost so that people can get back up on their feet without worrying about too many things at once. Staying sober can be a hard task all on its own. Understanding the rehabilitation process in only part of the awareness factor mentioned earlier. Understanding the way addiction works is another. Drug addiction can happen to anyone, it doesn’t just pick and choose who it wants to affect. However, there are many different causes and risk factors that can increase the chances of a person developing an addiction. First and foremost, drugs are addictive. They make people feel good and that is why people use them. Reality is a tough pill to swallow in today’s tough world where teens are shooting their classmates at school and a civil war appears to be erupting once more. Taking a few pills and relaxing after a hard day doesn’t seem too bad. Problem is, many people are taking too many pills over a period of time and overdosing on those pills. Teens are taking those pills too and for those who don’t overdose on them, they become addicted, starting at the age of twelve. A harsh reality sends many people looking for drugs to get high. Another cause for drug addiction is genetics. People are predisposed to addiction because their parents were addicts. When this happens, a person has to work extra hard to stay away from drugs as a whole. Mental health disorders play a role. As mentioned before about a harsh reality, a lot of people end up with depression and anxiety. Taking drugs helps to alleviate some of the negative emotions that come from these mental health disorders. Unfortunately, doing drugs also leads to a whole new problem, addiction. Rough life or childhood plays a role in drug use. For someone who has endured something negatively life-changing, drugs become a solution to the emotions surfacing. A rough childhood doesn’t always seem so clear when a person becomes an adult and becomes depressed enough to start abusing drugs. However, both factors can create drug addiction. A person either tries drugs for the first time or they get a prescription for pain pills. This doesn’t automatically lead to addiction. There are always factors that can be looked into. Is the person dealing with abuse or neglect? Does the person have a chaotic living situation? Is the person surrounded by drug use already? Is there a family history of drug abuse or a mental health disorder? Is depression or anxiety present? These questions are very important because each one of them that is answered with a yes only increases the chance of drug addiction. Abuse occurs when a person is using the drugs on a recurring and improper basis. Tolerance occurs when a person has been using a drug for a period of time and the drug no longer gives them the same feeling. Usually people will take more or find something stronger. Dependence happens when a person is no longer able to function properly unless they have drugs in their system. Addiction is a chronic mental health disorder that not every person develops. A sign of addiction is usually defined when a person starts to experience withdrawal symptoms after they have stopped using drugs. Relapse occurs when a person who has chosen to recover abuses drugs again. Not everyone who recovers will relapse but there have been a large number of people who have. Having an invention can be hard for a family. Bombarding someone into rehab can feel pretty lousy but it also can feel good knowing that person has gone. The most important thing to do when setting up an intervention is to talk about the problem with an open-mind. Making a person feel bad, guilty or horrible for their path in life will only create friction and a loved one will refuse help. After some time of keeping a calm, cool voice of understanding and encouragement, it can be helpful to provide a brief list of choices for rehab. If there is a heated argument or an argument at all, it would be best to put the conversation on hold. For anyone, hearing that there is a problem can be hard. That is why it becomes important to give a few moments here and there to process. Caring and loving is the only way to hold a positive intervention that will get the best results. Drug addiction is claiming a firm grasp on society. The statistics do not lie and they show some large numbers when it comes to the amount of people addicted to drugs. More and more teenagers are becoming addicted daily and some of those teens overdose before turning sixteen years old. Awareness is great way to spread the word about drug addiction. If you or someone you love is struggling with a drug addiction, don’t wait to get help. Call a rehabilitation center today to find out what treatment plan they offer. It could very well safe a life.